Oh hi there! This is my summary for my Individual Research on Instagram, across three well-known energy drink brands: RedBull, Monster and Rockstar. 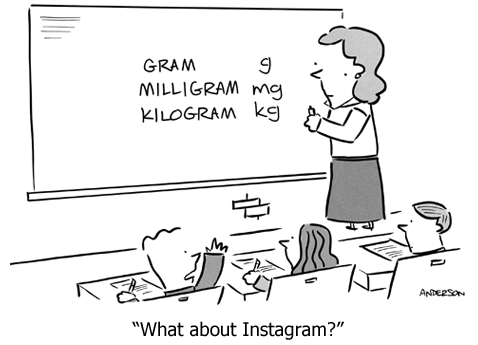 A picture says a thousand words and in today’s fast paced society with short attention spans, Instagram is poised to be a social media juggernaut. Many tech savvy users today are migrating from wildly popular Facebook to Instagram, which now currently boasts 400 million users, beating even twitter. This still pales in comparison to Facebook’s 1.6 billion users, but this is set to change slowly but surely. Keeping it short and sweet has paid off well in this current fast paced age and Instagram is now the new ‘in’ thing. Instead of having to put in effort reading posts or watching lengthy videos, Instagram offers users the simple act of looking at images – the quickest way to get user engagement. The industry of focus is the energy drink market, of which the top 3 leading brands are Red Bull, Monster and Rockstar respectively. 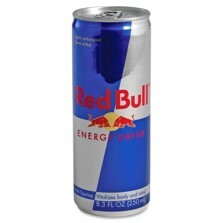 With 50 billion cans sold since its founding in 1987, Red Bull is the world’s leading energy drink. The company slogan “Red Bull gives you wings” has been monumental in helping Red Bull deliver a strong energy packed social media strategy. Red Bull has now become a brand associated with a fun, sporty and adventurous lifestyle. Red Bull’s market share of the energy drink industry is 43%. The newest entrant to the scene in 2002, Monster has developed a social presence revolving around its support and sponsorships for extreme sports like BMX, Motocross, snowboarding and even eSports. Most notably, it sponsors Mercedes in the F1. Monster’s apt slogan of “Unleash the beast” has helped it garner 39% market share of the industry. Created in 2001, Rockstar’s iconic 16oz cans were an attempt to differentiate itself from market leader Red Bull’s 8oz can, choosing to market itself as “twice the size of Red Bull for the same price!” Rockstar’s slogan of “Party like a Rockstar” did not garner as much traction as its other two competitor’s much more famous slogans. 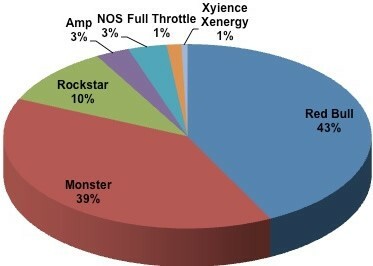 Rockstar’s market share is the lowest of the three at 10%. My research question is this: How can brands rock out on Instagram like a true #Rockstar? Through this research, we try to understand what kind of social media strategies work on the Instagram platform and have the highest rates of success with followers. We can also examine the deeper question of how a minority market share holder can still outperform the market leader on the social media platform Instagram. The most important metrics were tracked as shown. RedBull is the clear winner at harnessing the powers of Instagram, while Rockstar trails behind. RedBull has extremely strong slogan association in its posts – Redbull gives you wings! RedBull very rarely features its logos in its posts, building up a very effective non-commercial frame. RedBull features a diverse range of content on its account. RedBull utilizes Native Brand Advertising. This campaign invites regular people to post selfies of them posing as rock stars. It builds very nicely on Rockstar’s current slogan of “Party like a Rockstar”. More importantly it plays into people’s inner desires of glam and fame. After all, who does not want to be a rock star? Selected winners of best pictures will be able to #skyROCKet to fame when they are featured on Rockstar’s Instagram page and their 789000 followers. As an extension of the #skyROCKet to fame winner campaign, winners will also be able to receive special backstage passes to rock concerts to see their favourite rock bands and rock stars live. Would you rather be a #Bull #Monster or #Star? This campaign plays on the names of the other drink brands RedBull (#bull) and Monster (#monster). Perhaps, Rockstar can first feature a post asking “would you want to be a #bull?” and slowly build up to the revealing of its campaign. When phrased this way, people subconsciously will want to be #stars rather than #bulls or #monsters which are often deemed ugly and unglamorous. It is a wonder that Rockstar, blessed with a name for so much potential never capitalized on it. In line with promoting its slogan of “Party like a Rockstar”, this strategy would get real rock stars to endorse and feature Rockstar on Instagram. This would build a better brand association than its current over-used dirt bikes and race car themes. Moving away from extreme racing sports will also help distinguish itself from Monster and RedBull who also feture such sports. Although Rockstar is an industry minority, it is possible for an industry minority to outperform the market leader on social media platforms. By implementing the suggestions that have been carefully thought out in this paper, Rockstar has vast potential to improve its social performance and rock out on Instagram like a real #rockstar!